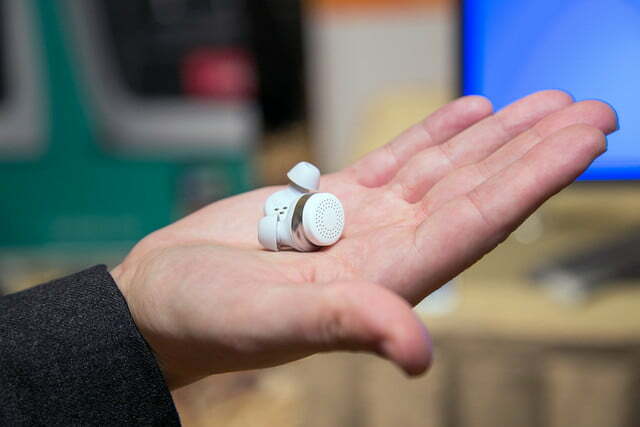 Doppler Labs all but floored us last year at CES with its new Here Active Listening System, which, among other things, was able to to deafen the raucous chaos of a Las Vegas showroom floor to eerie levels. Upon further testing outside of the show, the hearable’s ability to raise, lower, EQ, and even add effects to the world around us through an intuitive app continued to impress. 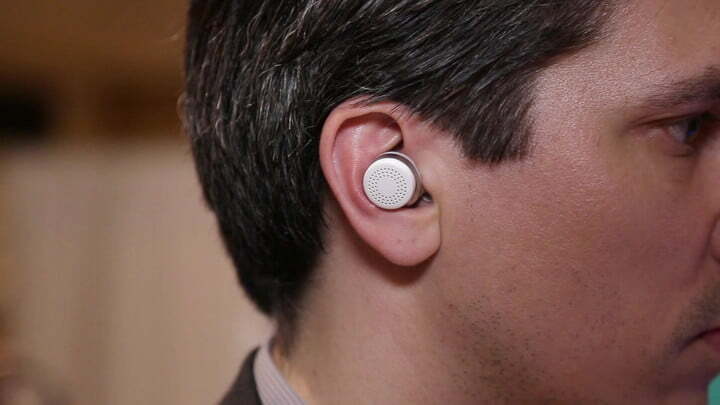 However, there was one thing the wireless buds couldn’t do: Actually play music. Enter Doppler’s latest creation, the new Here One. 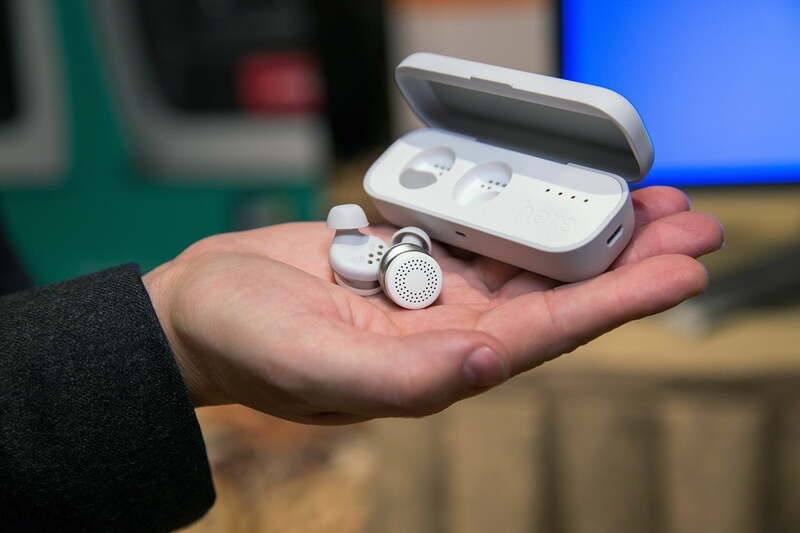 Since our experience with the Here Active system, we’ve been eagerly awaiting the next step from Doppler Labs, but the company has pushed back the release of the Here One for some time now. With Apple’s highly anticipated Airpods finally landing just ahead of the holiday shopping season after their own delay, the time was ripe for Here One to hit the market. And if our short time with them at CES 2017 is indicative of the final product, we’re happy to say that Here One has delivered on its promise. Doppler has updated its app for the new buds, making it more intuitive, and adding in new noise filters that better represent real-world use cases. In place of the Here Active’s novel (but not all that useful) digital effects are a slew of new filters, such as Airplane, Restaurant, and others designed to focus the sound around you. 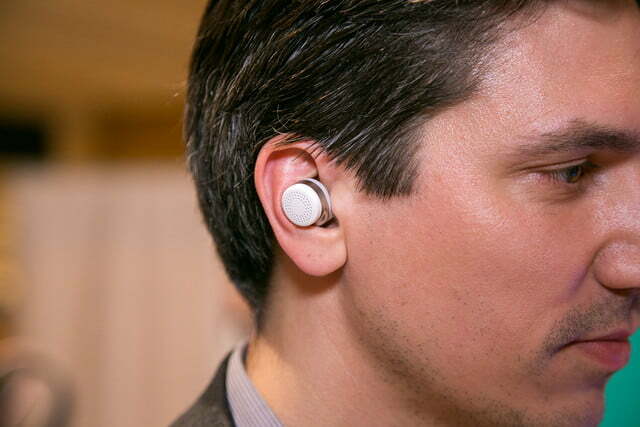 Like the Here Active, the Here One can both raise and lower ambient sounds. 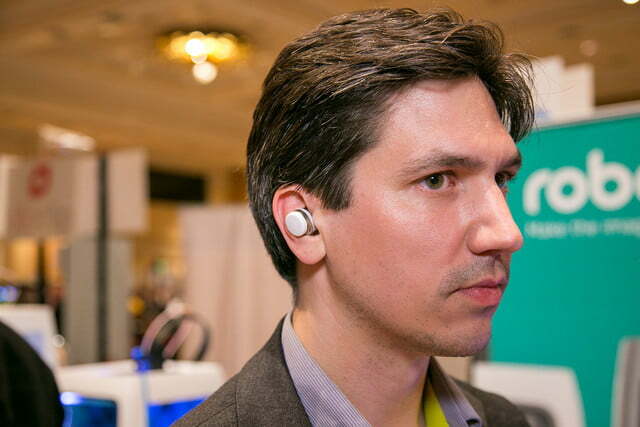 And thanks in part to NXP’s effective NFMI (near field magnetic induction), which connects the two buds together, and a solid Bluetooth signal to connect them to your source device, the connection was extremely solid in our trial run — even in the crowded halls of CES. 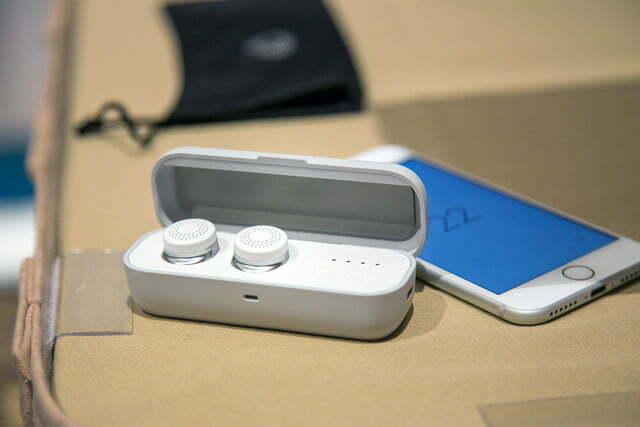 Sound performance for music playback was also very solid in our short time with the earbuds — it’s not exactly audiophile level, but the music we heard was rich, warm, and well balanced — and especially soothing with the noise cancellation extinguishing the noisy clatter around us. We do have a couple of gripes about the Here One, including a tap control system on the side of the buds for things like pause/play and turning off ambient sound control that seemed a bit confusing, as well as the battery life. The Here One are expected to last from 2.5 to 3 hours per charge, while the charging case allows for around 2 to 3 more charges. Unfortunately, it also takes an hour to charge them back up again, so these buds won’t be your go-to for long flights. 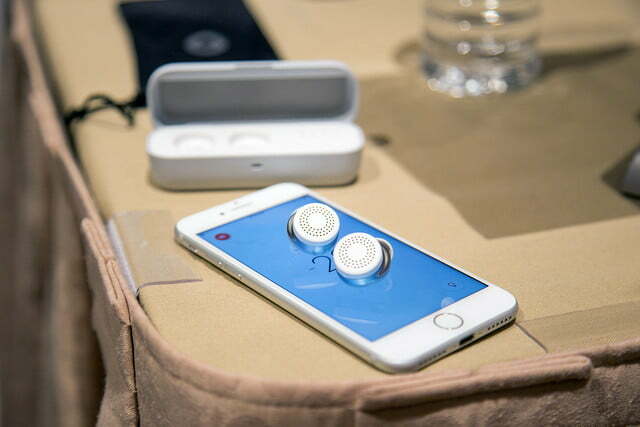 The tap control issues and battery time are pretty much par for the course for the burgeoning augmented audio earbuds genre, and as far as we can tell, these might just be the buds to beat. We’ll have to spend a lot more time with them to make any conclusive statement, however. Doppler Labs’ new Here One earbuds are expected to ship in March, with a price point of $300. You can pre-order them now at the company’s website.